Garden and Pond 6-Watt LED Spotlight 6-Pack - Aquascape, Inc. 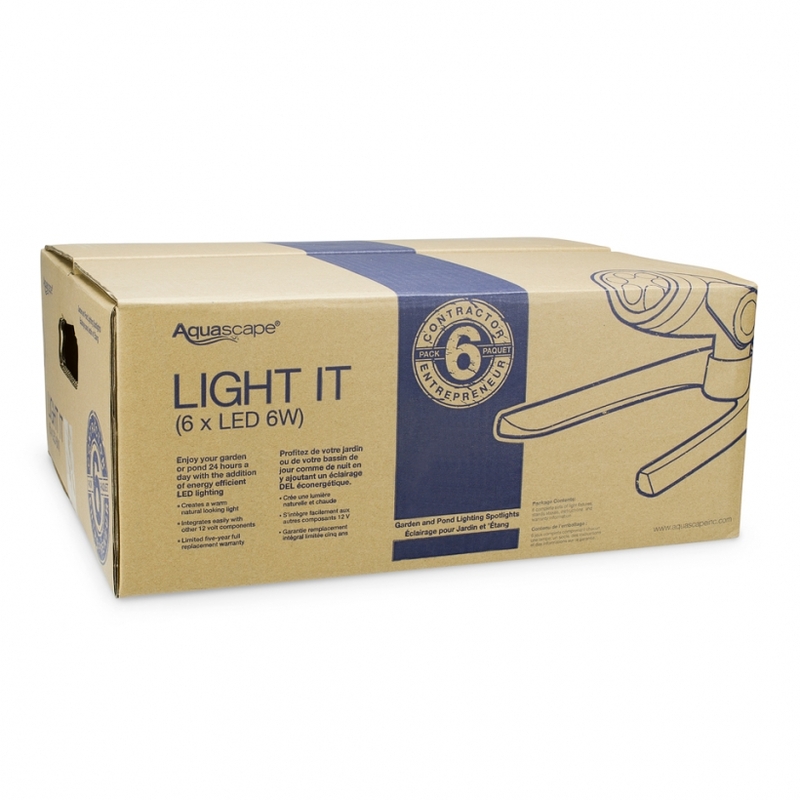 The Aquascape 6-Watt LED Spotlight 6-Pack is designed for quicker and easier installation of the Aquascape 6-Watt LED Spotlight. 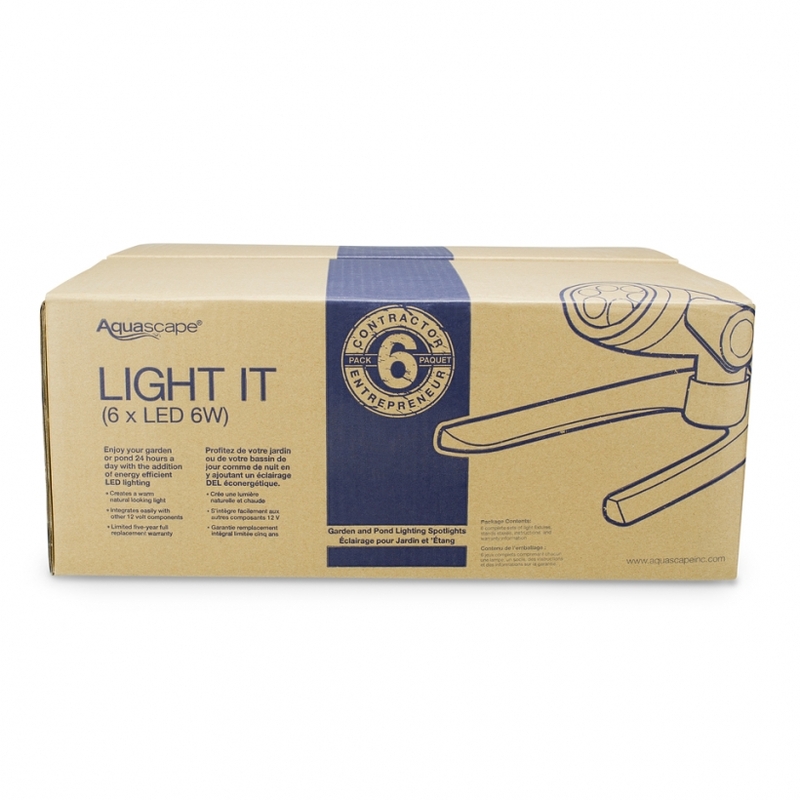 The pack includes 6 individual lights, and the specially designed box reduces packaging while taking up less space than individually purchased lights. 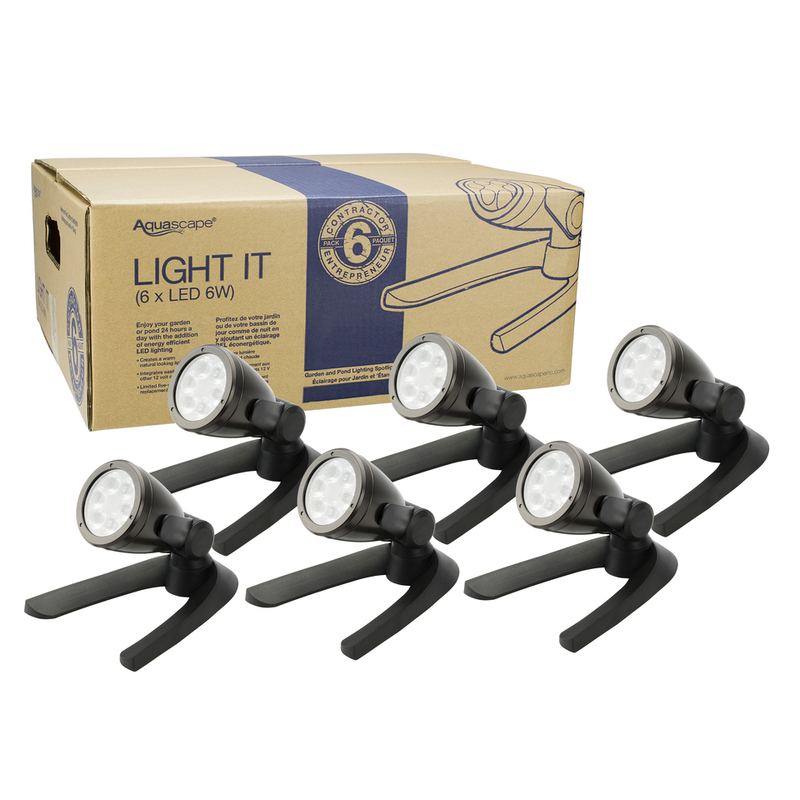 6-packs also save you money by providing six lights for the price of five. The kit is ideal for pond professionals and installations requiring multiple lights. The energy-efficient, compact lights can be placed anywhere a spotlight is needed, and they can be used either in or out of the water, transforming the way your water feature looks at night. Includes quick-connect fittings and removable mounting bases. Aquascape LED Spotlights are completely sealed from water and come with a limited five-year full replacement warranty. Aquascape is passionate about the products we produce, providing unique products, designs, and features that stand above the competition.